We are delighted to announce the first publication of the Visual Arts Circle in collaboration with the ELT Council. 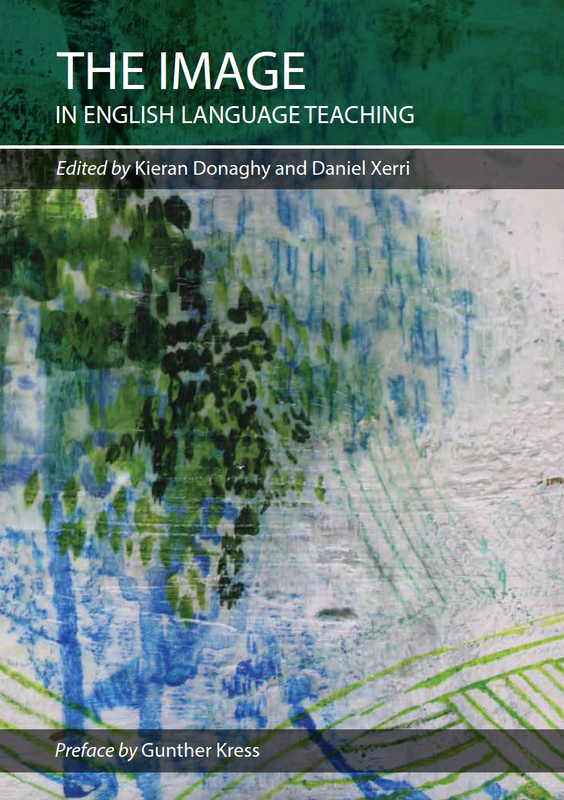 ‘The Image in English Language Teaching’ is a book edited by Kieran Donaghy and Daniel Xerri that features contributions by leading experts in the use of images in language education such as Ben Goldstein, Anna Whitcher, Antonia Clare, Paul Driver, Sylvia Karasthati, Paul Dummett, Magdalena Wasilewska, Andreia Zakime,Elena Domínguez Romero, Jelena Bobkina, Candy Fresacher, Tyson Seburn, Chrysa Papalazarou, Magdalena Brzezinska, Emma Louise Pratt, Samantha Lewis, Jean Theuma, and Valéria Benévolo França who are all also members of the Visual Arts Circle. The book includes a preface by Gunther Kress, Professor of Semiotics and Education in the Department of Culture, Communication and Media Within the Institute of Education of University College London. The book is available by open access thanks to the support of the ELT Council. You can download the book by clicking on the following link The Image in English Language Teaching (2017). This entry was posted in books, Uncategorized and tagged art efl, art elt, art esl, film efl, film elt, film esl, image in elt, multimodality efl, multimodality elt, multimodality esl, multimodality language education, video efl, video elt, video esl, visual arts circle efl, visual arts circle elt, visual arts circle esl, visual arts efl, visual arts elt, visual arts esl, visual literacy efl, visual literacy elt, visual literacy esl by kierandonaghy. Bookmark the permalink.